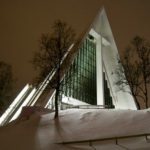 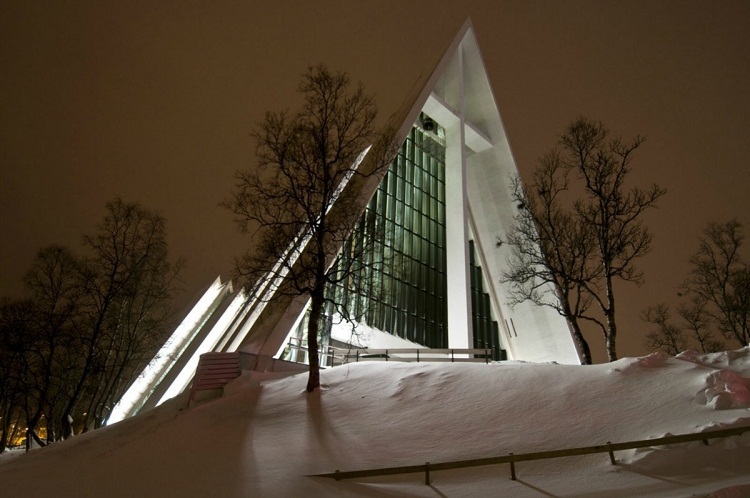 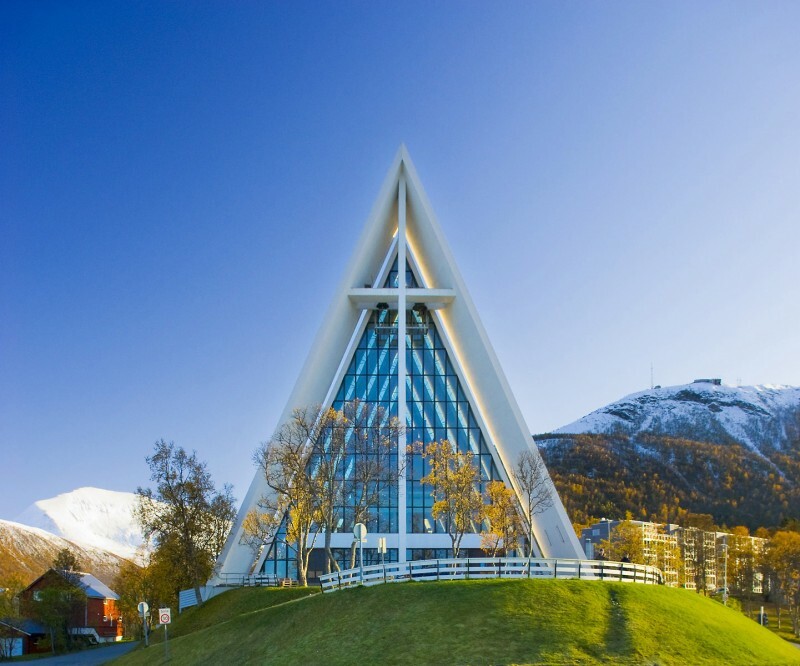 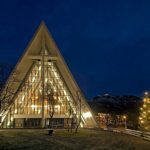 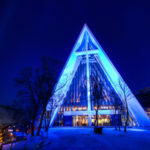 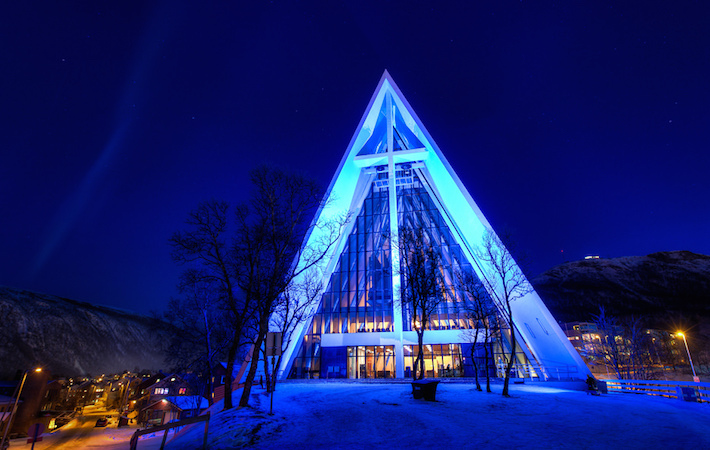 Arctic Cathedral (Norwegian: Tromsøysund kirke or Tromsdalen kirke), formally referred to as Tromsdalen Church or Tromsøysund Church, is a place of worship for the Christians in Tromsø city, Troms county, Norway. 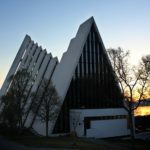 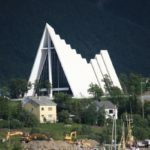 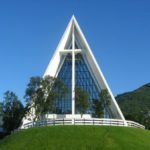 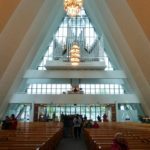 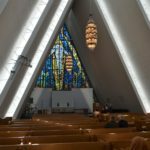 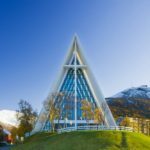 Also known as “The Cathedral of the Arctic Sea,” the church lies in the Tromsdalen Valley as a part of the Tromsøysund parish in the Tromsø arch-deanery in the Diocese of Nord-Hålogaland. 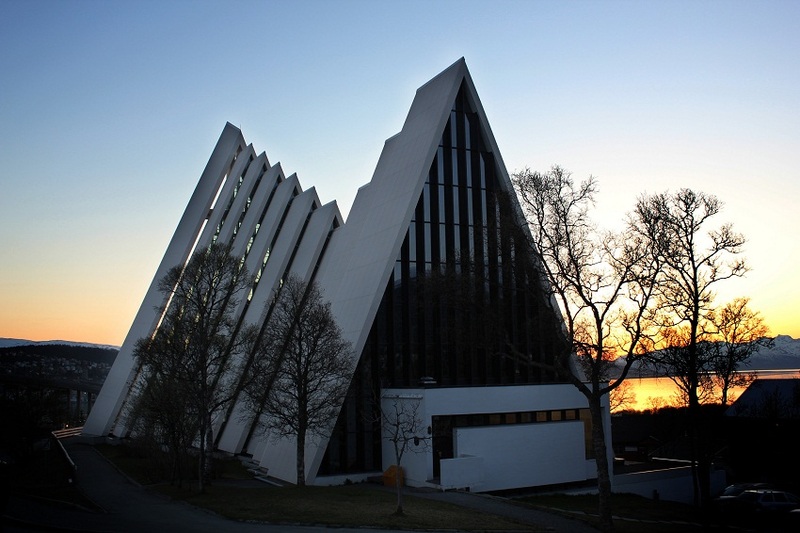 Designed by Jan Inge Hovig, the construction of the church was completed by Ing. F. Selmer A/S Tromsø. 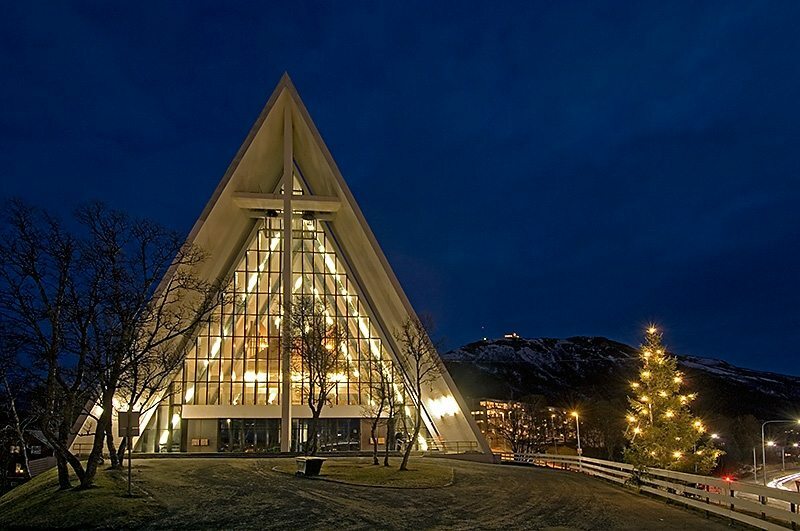 Consecrated by Bishop Monrad Norderval, the parish church served as the venue for many concert performances because of its brilliant acoustics. 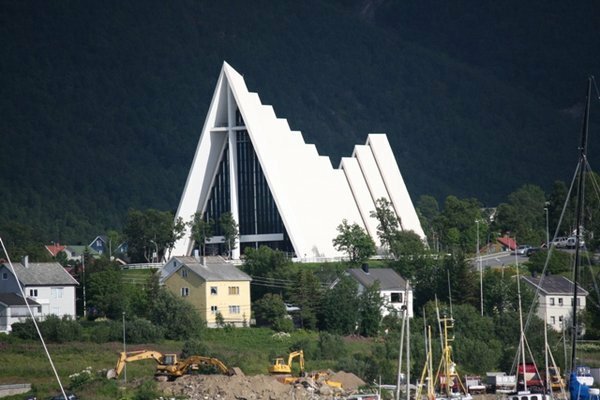 The church was built mostly of concrete wherein cast-in-place aluminium-coated concrete panels were used. 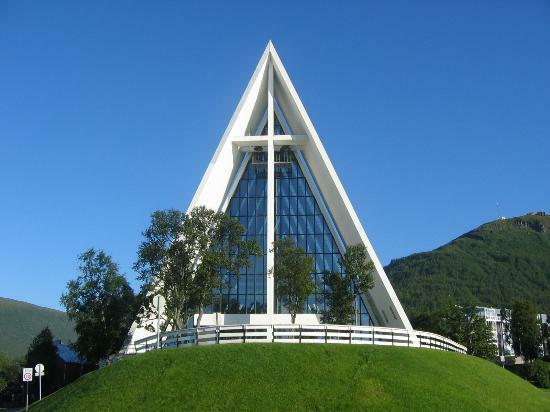 A large glass façade with a noticeable cross surrounds the main entrance on the western side. 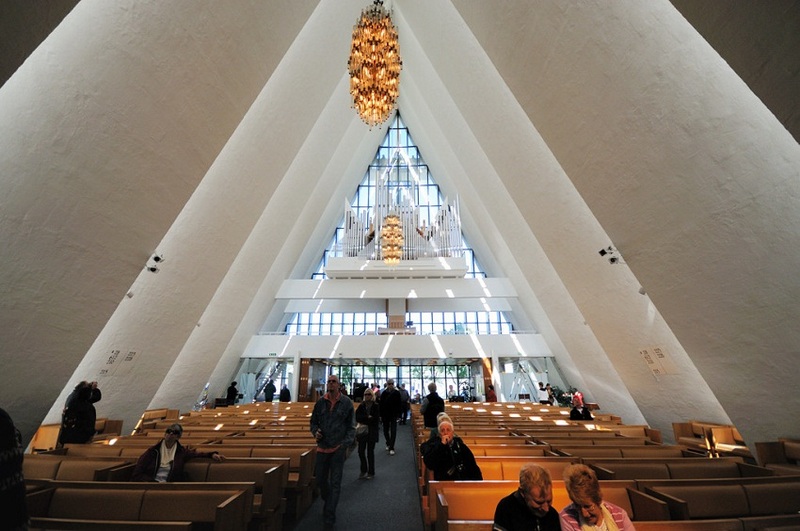 In 1972, a glass mosaic by artist Victor Sparre comprising many symbols was added to the eastern side. 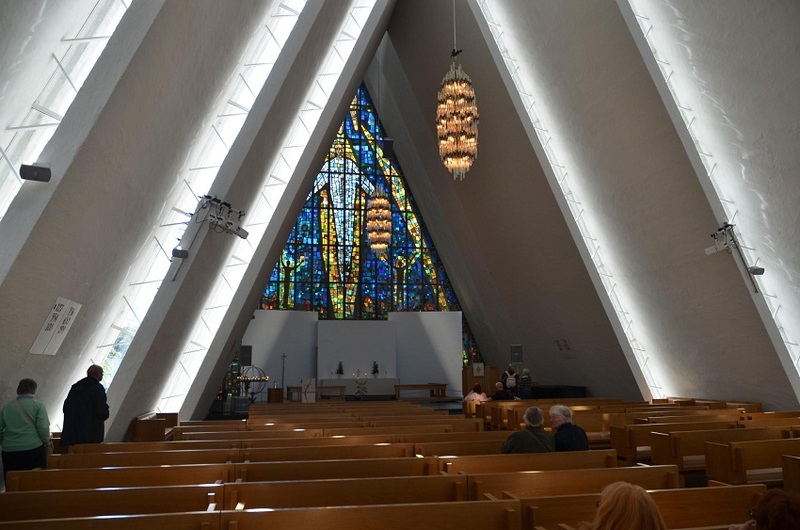 It portrays God’s hand from which three rays of light departs – one through Jesus, one through a woman and the other through a man. 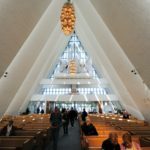 Among the most significant fittings are the oak pews, the large prism chandeliers, the altar rail, and pulpit – all exist in a style that perfectly blends with the severity and simplicity of the cathedral. 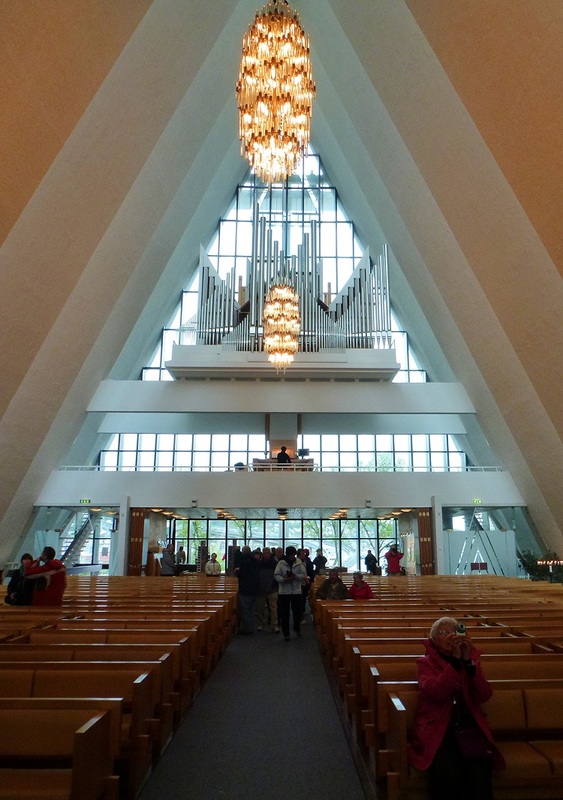 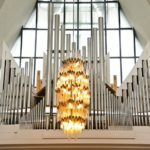 In 2005, a new organ built by Grönlunds Orgelbyggeri was acquired by the church. 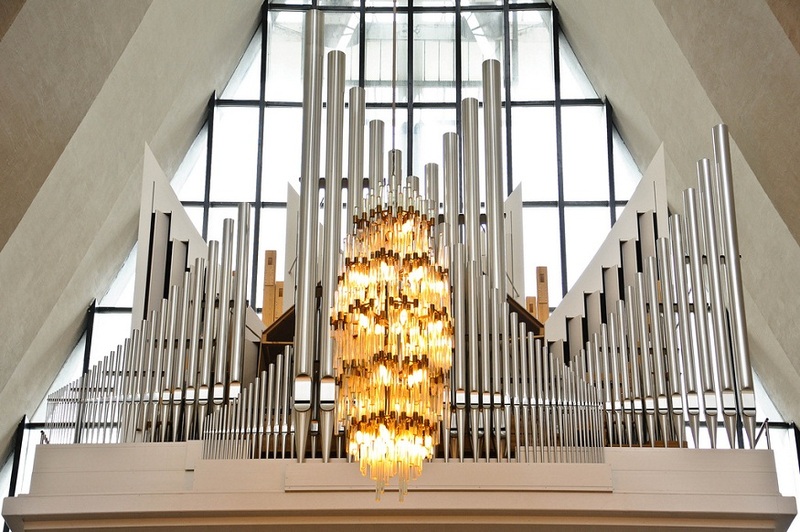 The organ comprises three manuals, pedal, 42 stops, and 2940 pipes.